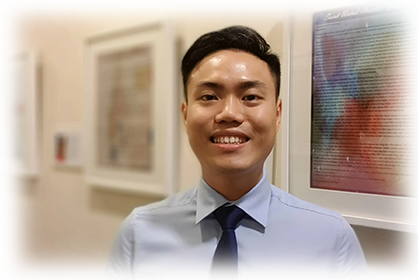 Mr Andrew Sim is our Audiologist with a Masters in Clinical Audiology from the University of Melbourne. In our centre, Mr Sim is involved in providing a range of audiological services, such as, adult and paediatric diagnostic hearing assessment, and vestibular assessment. He also does hearing rehabilitation with hearing aids and cochlear implants, and tinnitus counselling. He currently holds a professional membership from the Society for Audiology Professionals (Singapore). Having to raise public awareness in Audiology, Mr Sim was invited to a professional radio talk show interview from 88.3JiaFM.